Welcome to volume one of #chicallweek, where I will be sharing my work outfits of the week (via iPhone) and any style tips for girls working in a sporty/ casual/ clinical environment. The first post will be more of an introduction to the series, but I will share a stockpile of pictures that have been building up on my phone while we’re here. On my first day in PT school, I was introduced to a maroon and gold polo we would be required to wear for site visits and our class picture. It was the first polo shirt back into my closet since Hollister made them cool in high school, and I wasn’t thrilled about it coming back. Khaki’s and polos were my least favorite style, and for whatever reason, this is what I envision when I think of a Physical Therapist. 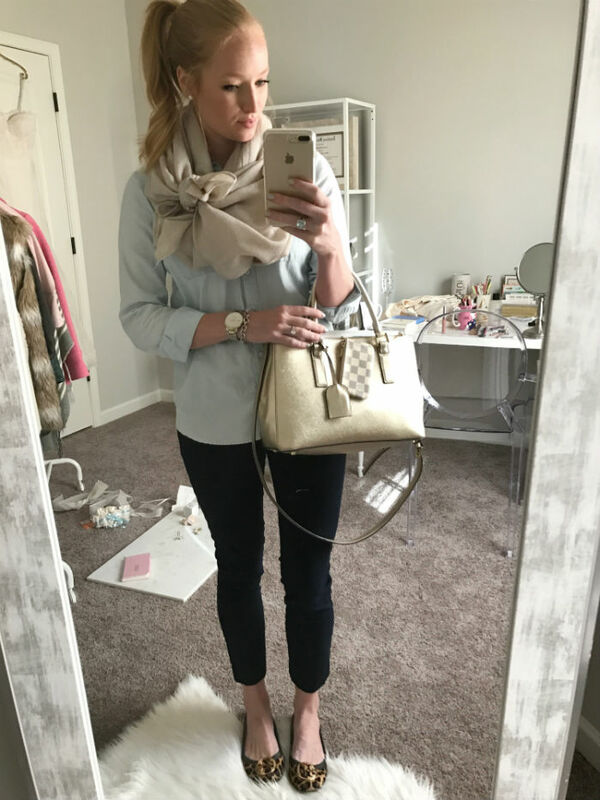 When I first started my blog only a few weeks later, I wanted to eventually share my feminine style and how I incorporate into the Physical Therapy environment. Of course, you don’t have to be a PT exactly to take inspiration from it, but I will talk about reasons I specifically love it for my job. 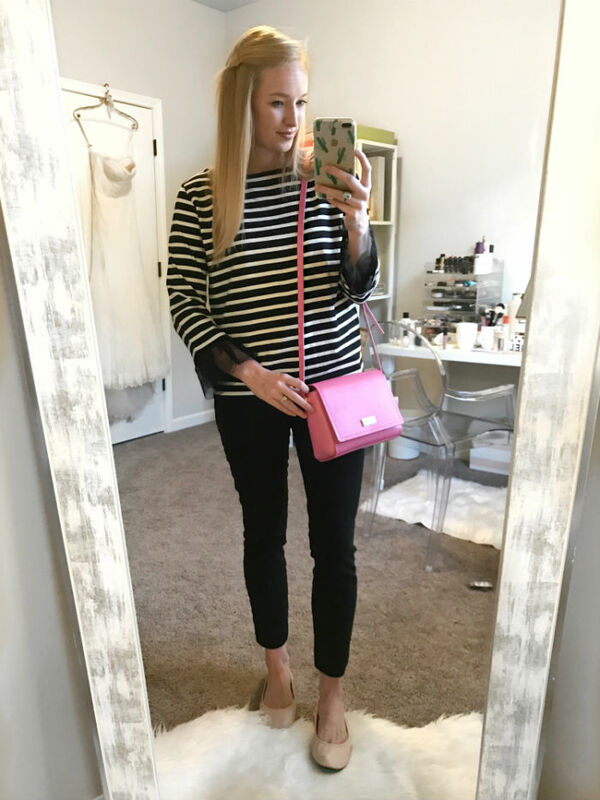 I’ve started sharing my work outfits on Instagram stories, and I’ve had girls reach out to me about doing a post and to keep sharing them because they’re currently in PT or OT school or are new graduates. Being a PT, you need to wear clothing that allows you to move and demonstrate exercises, but most work environments require you to look casual or even dressier / business casual. I had a clinical that required the guys to wear ties and girls to wear slacks. I’m glad my work environment can lean either way. Some days I wear Nikes and a ponytail, and other days I decide to curl my hair and wear a blouse. It’s definitely right up my alley to get the best of both worlds! 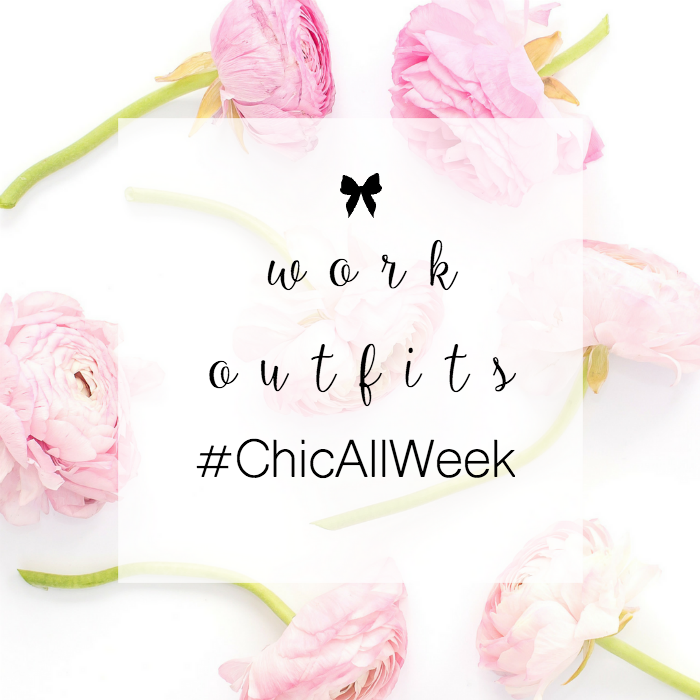 You certainly do an excellent job of remaining "chic all week" girlfriend! 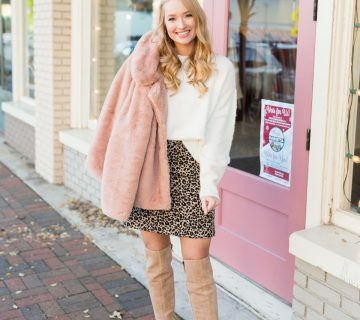 These outfits are even adorable outside the workplace for sure! Such a cute round up!! I love all of these looks and they all look extremely comfortable too! This is such a great idea! I love all your outfits for work! Oh i love all your outfits! I want them to all magical come into my closet!!! That fringe sweater is my fave! You have such cute, preppy style! 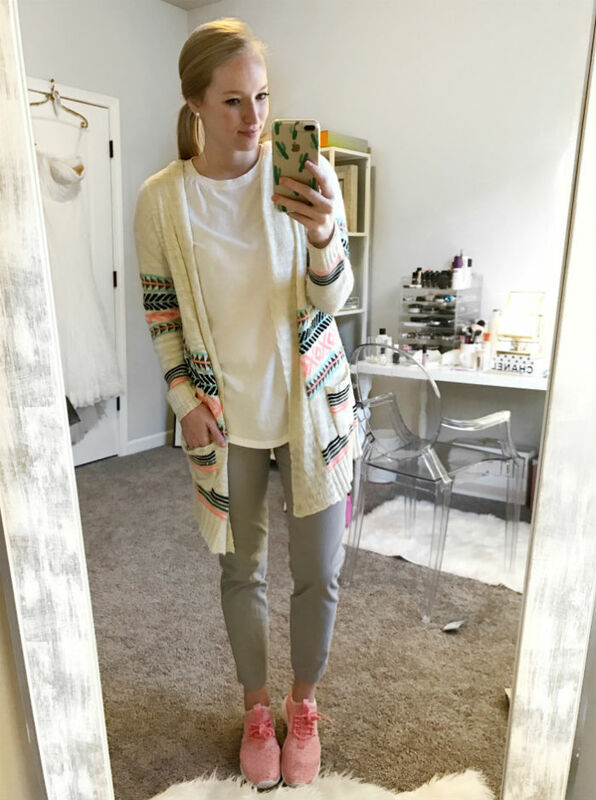 I love that cardigan! I love this! I always love to see what people wear for their everyday outfits and you looked super cute this week! 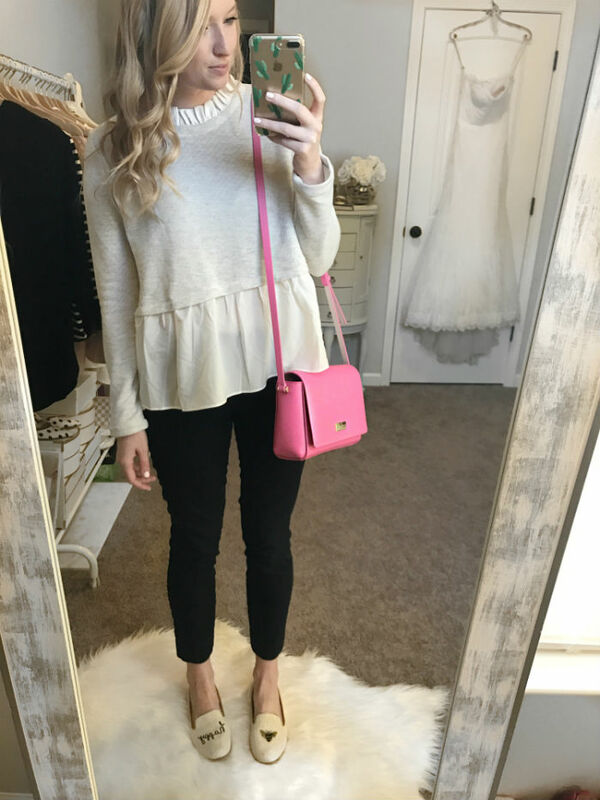 Love all these comfy looks- that grey peplum sweater is my fave!! You look so good everyday!! 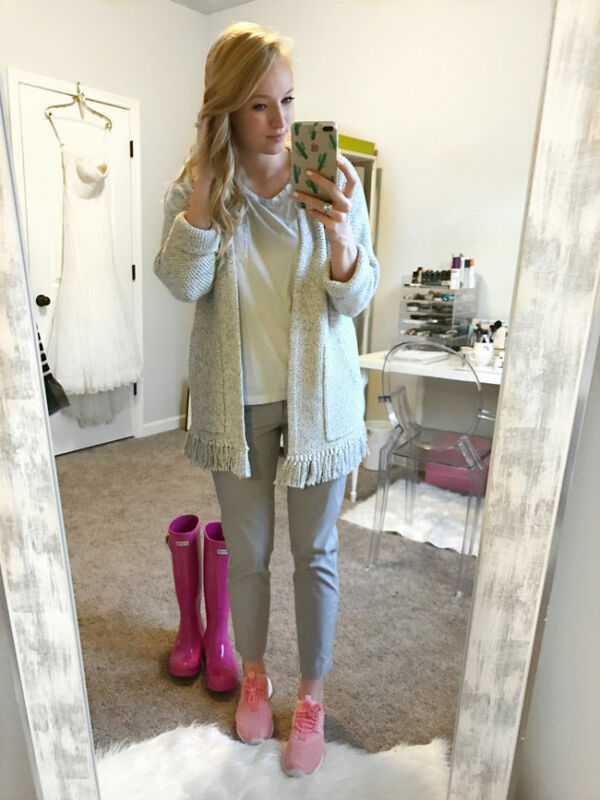 Love that you are sharing these REAL, every day outfits! love seeing all your looks- and I love this mirror!! This is such a cute series!! 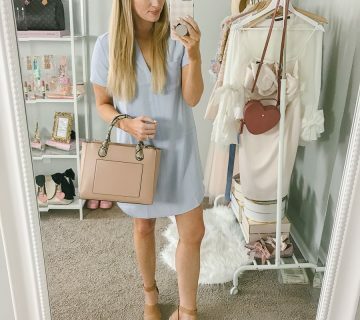 I LOVE all of these outfits, it's always fun to see what bloggers actually wear vs what they just shoot and post at a later date! All of your outfits are so cute! I love how you tied your scarf in the second outfit that is so cute.